Siblings Bryan and Dawn Koh come across as polar opposites. The former is serious, soft-spoken and quite unyielding, while the latter is warm, sociable and infectiously cheerful. Bryan has always been academically inclined, while Dawn, who was born dyslexic, is a visual learner. Their interests are dissimilar, too, with Bryan finding passion in food and Dawn in fashion. Yet despite their differences, the pair has never had a serious argument. “Bryan and I have always been close,” explains Dawn, the younger of the two. “We really understand each another so we hardly fight.” In fact, the duo, who are the co-founders of cake companies Chalk Farm and Milk Moons, bear complementary traits that have helped them take on different leadership roles within their business. In 2010, Bryan established Chalk Farm as an online store to “explore my passion, occupy my time and learn how to run a business”. He was only selling two types of cake then: a carrot whisky sultana cake and a dark gingerbread. 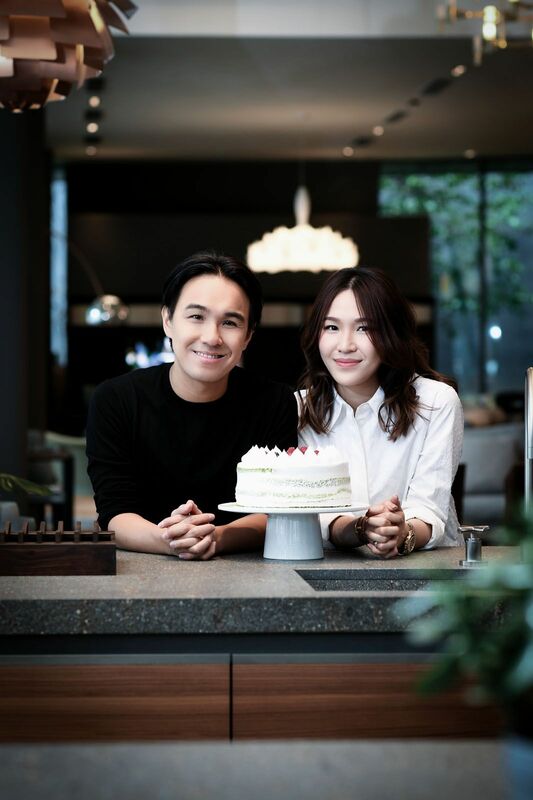 Dawn joined him in 2013, taking a gap year after her first year at Le Cordon Bleu London, to help him launch the cake company’s first brick and mortar store in Paragon. Her role: to put her strong interpersonal skills to work and manage the staff, storefront and product quality control. By this time, Chalk Farm’s selection of desserts had blossomed to include cupcakes, cheesecakes and traditional desserts such as the kueh salat, a two-layered Nyonya delicacy that is now one of its bestsellers. The next year, the pair opened a second store at Parkway Parade, and later Milk Moons in 2017. This expands on Bryan’s fascination with Asian ingredients and flavours. From a young age, Bryan has had a special affinity with food. As a toddler, he would spend hours playing with the toy kitchen his parents bought for him. He started experimenting with baking cookies, at around eight years old, after watching an episode of Sesame Street. At age 17, he cooked for his friends for the first time. “I invited some classmates over for a simple meal of pasta and salad. It was my first time seriously cooking for other people. Before this, I had just been mucking around in the kitchen and didn’t care if my cooking tasted nice.” His “debut” meal went well, fuelling his confidence to pursue a career in food. Today, Bryan is responsible for coming up with the recipes of their companies’ cakes. He is also a self-published author of three cookbooks on different Asian cuisines. His latest tome, Bekwoh, released last month, explores the undiscovered cuisines of Kelantan, Terengganu and Pahang in Peninsular Malaysia. By contrast, Dawn had never done any cooking before she went to culinary school. “I couldn’t even boil an egg until I was about 20 years old!” she admits with a laugh. Before her foray into the culinary world, she was studying art, design and fashion at Central Saint Martins and the London College of Fashion. Upon her return to Singapore in 2010, she sought her family’s advice on what she should do next, to which they suggested learning to cook at Le Cordon Bleu. “I thought it was crazy at first as this was the top culinary school they were talking about,” recalls Dawn. “But I did it anyway and ended up really enjoying my time there, working under the stressful conditions and the adrenaline rush that came with being in the kitchen.” And this was despite having to study among trained chefs and wake up at 4am to practise julienning vegetables and turning mushrooms.